A fact most people are not aware of is that the United States is at risk of repaying its debt if anything major happens. 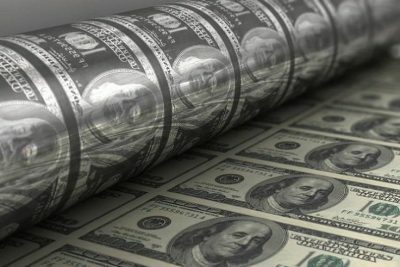 The $20 trillion that America owes is by far the largest of any single country, and about as much as the 28 members of the European Union owe altogether. The sum is greater than what America produces in one year, or twice the debt to DGP ration of 1988. But now let’s look at the makeup of this staggering debt. This debt-to-GDP ratio tells investors that the country might have problems repaying the loans. And Baby Boomers are by far the biggest domestic investors via social security and other trust funds. In short, recent administrations have mortgaged the legacy of a generation. President Barack Obama holds the record for piling up the biggest US debt, just so the reader knows. The Bush administration comes in second where piling up debt is concerned, and tax cuts piled on top of the expensive “War on Terror” emptied American coffers at a staggering rate after 2001 and the 9/11 event. Social Security, which will have to pay Baby Boomer retirees their pensions soon, was gutted by Bush and Obama. If these funds are not propped up, 75 million Americans will be robbed of their hard-won retirement. But Social Security and the trusts are only used to cover other US government departments. But what about foreign debtors? Countries like China, Japan, and Great Britain buy treasuries as investments and in order to guarantee American trade (especially in China’s case). Buying “treasuries” also helps China and other countries keep their currencies strong versus the US dollar. But in 2016 the pattern of purchasing huge US debts altered when China lowered its holdings of U.S. debt. Furthermore, as the debt-to-GDP ratio increases, the nations that hold US debt might demand higher interest payments to compensate for the increased risk. After this happens diminished demand will derive cause interest rates to rise further. This situation will create a downward spiral that puts pressure on the dollar, and that will eventually increase interest payments to unsustainable levels. Once the US government can no longer sustain social security and other programs, it’s fair to assume the whole house of cards will fall. Currently, Social Security costs more than $1 trillion per year, and payroll taxes no longer cover the fund. So, Congress can no longer “borrow” from the Social Security Trust Fund to pay for other federal programs. For fiscal year 2018 the interest on the debt is $315 billion, and this will double by the year 2027. But there’s no need for an economics lesson here, so I’ll proceed to Russia’s situation by comparison. Russia’s national debt is by far the lowest in Europe and the lowest in the former G8 countries. In fact, before the Ukraine crisis took shape Russia’s growth was astounding compared to the US, Germany, France, Japan, and the other G8 nations. Reuters reported Russia’s growth rate of 2.5 times that of the US in quarter 4 of 2011. Russian President Vladmir Putin’s repaying almost all of the country’s foreign debt, high energy prices combined with Russia’s exports to Europe were creating a Russia powerhouse economy. If the truth is ever told of the new “Red Scare” it will reveal fear as the motivator for a new Cold War waged by western powers. “the US had declared full-scale economic war”. Putin’s Russia having already made the “shift” eastward to Asia, the only logical reaction to the Trump reversal was to head full steam in the direction of Beijing. For a couple of years both Russia and China have been hoarding gold and taking steps to separate from the dollar currency. Where Russia’s natural gas is concerned, the blockages thru Ukraine and Syria created to Europe by the NATO nations have been circumvented. The Turkish South Stream project is back in full swing and Russia’s armed forces have help signal the end of ISIL in Syria. Trump signing this new sanctions bill will end up costing Americans and Europeans the future if I am right. An interesting aspect of Oreshkin’s emergence is his role in bringing about a pet project of Putin, in ramping up Russia’s place in the so-called “digital economy”. To this end the Russian president already demanded a final version of this “digital economy development program” be set in place by October. According to the Kremlin the new initiative should create support mechanism for the development of key end-to-end digital technologies, including artificial intelligence, robotics, quantum computing, development of information and telecommunications and computing infrastructure, and financial incentives. In conclusion, it’s abundantly clear that Dmitry Medvedev was right in finally giving up the ghost of hope for US-Russia reconciliation. One reason for this is the clear desperation western leaders and business exhibit in their all-out war on Putin. In fact, the only logical reason for trashing west-east relations has to be fear the system of banking and business in the US and Europe will fail. As for Russia’s play I am reminded of a report I made some months back on Putin’s “Third Way” for society. It’s been obvious for some years now the Putin administration has been battling to change Russia’s business and government ecosystem. But economic and geo-strategy assault from western powers has interrupted this plan. I believe Putin had intended to meld Russia’s new initiative into the existing G20 economic structure. But Trump’s turnabout forced a new direction. In the long view we can only watch and see if the staggering giant of American globalist capitalism can overcome a new power structure in world economics. If the Eurasian Union separates from the dollar, the world will certainly enter a time of dire crisis. We may soon witness a real bear in the world marketplace, one unwelcomed by Wall Street.